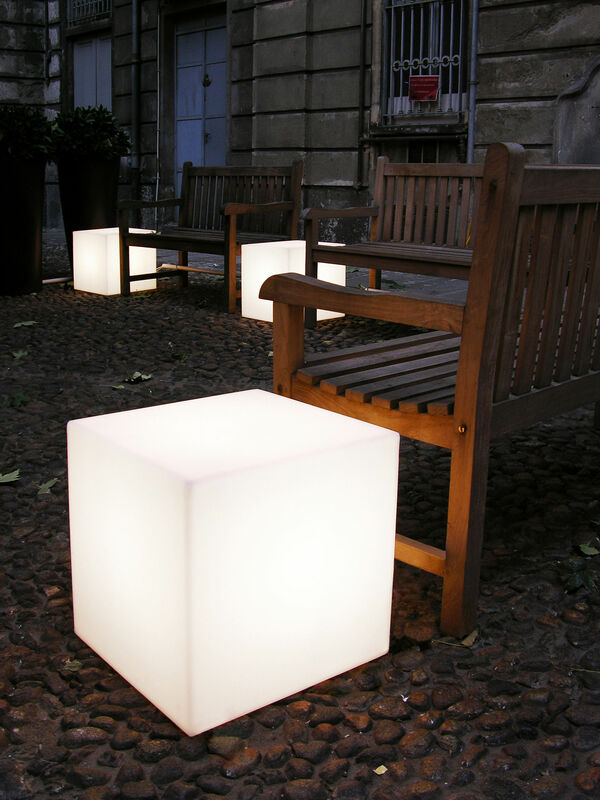 This Cubo Outdoor luminous stool is here for you to create an exceptional lounging atmosphere on your terrace, by your pool or in your living room! 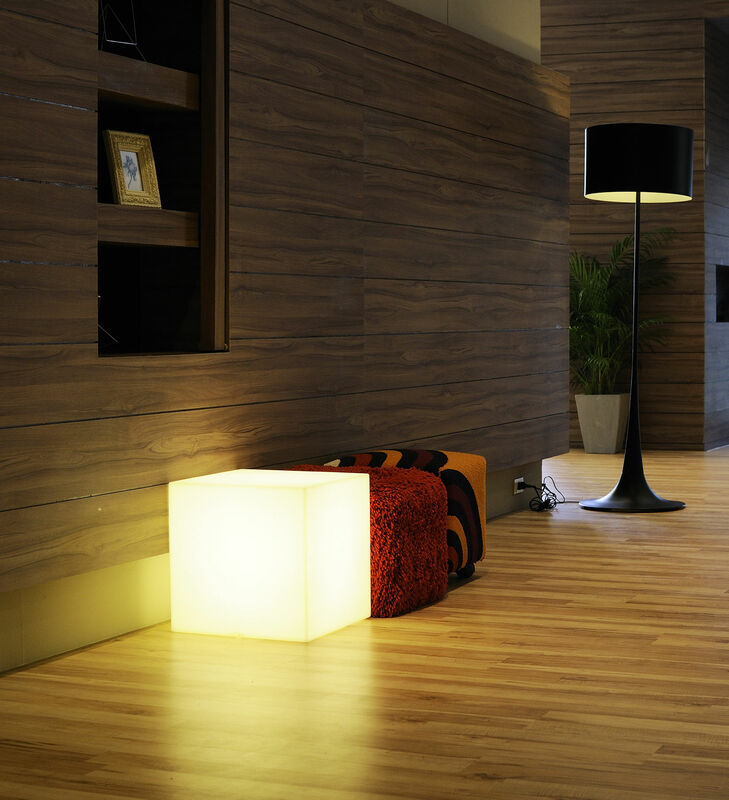 Using LED technology, this lamp efficiently sheds light whilst remaining extremely economical. 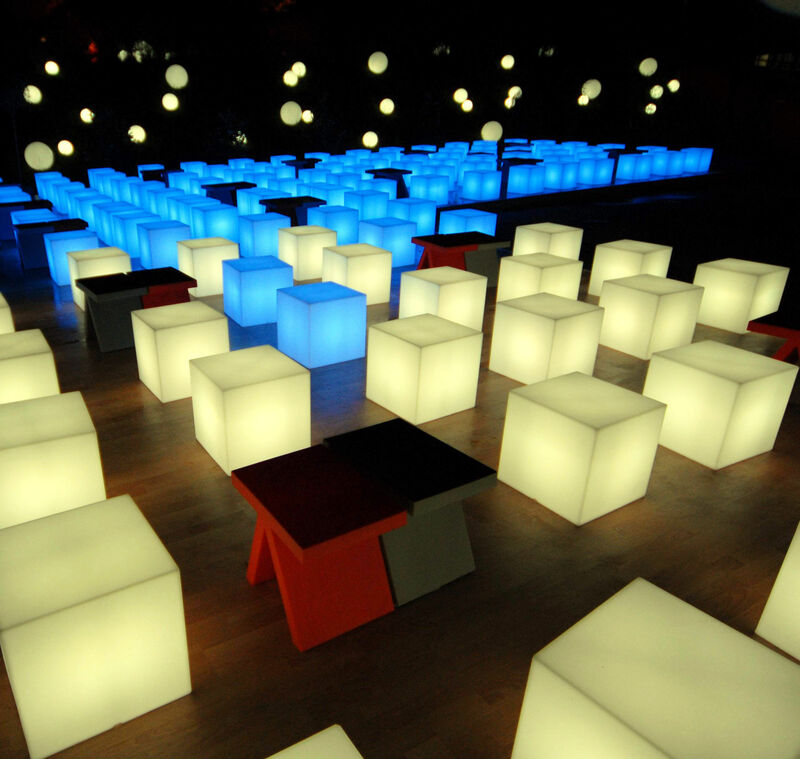 You can move this wireless cube whenever you like! 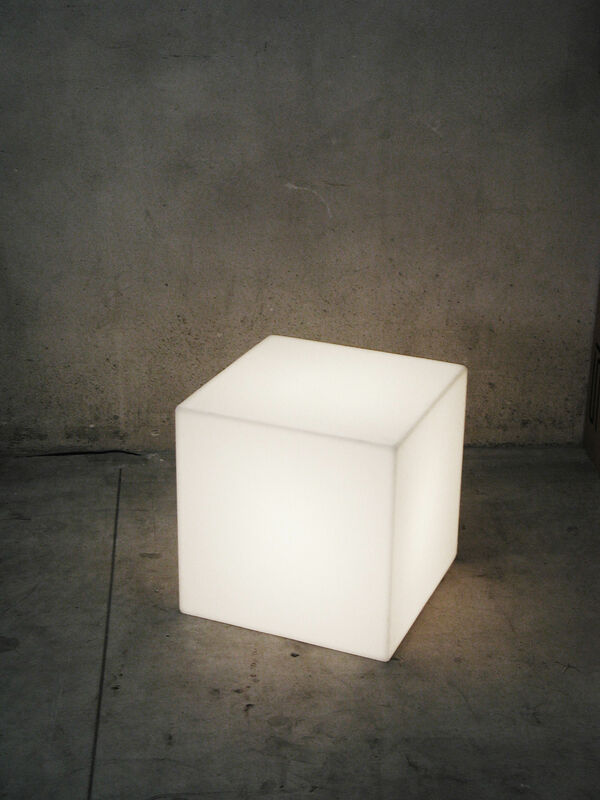 Its rechargeable battery offers 9 hours of light autonomy. Spread in the grass or arranged around a table for an aperitif, this light will do a modern look to your outdoor areas! 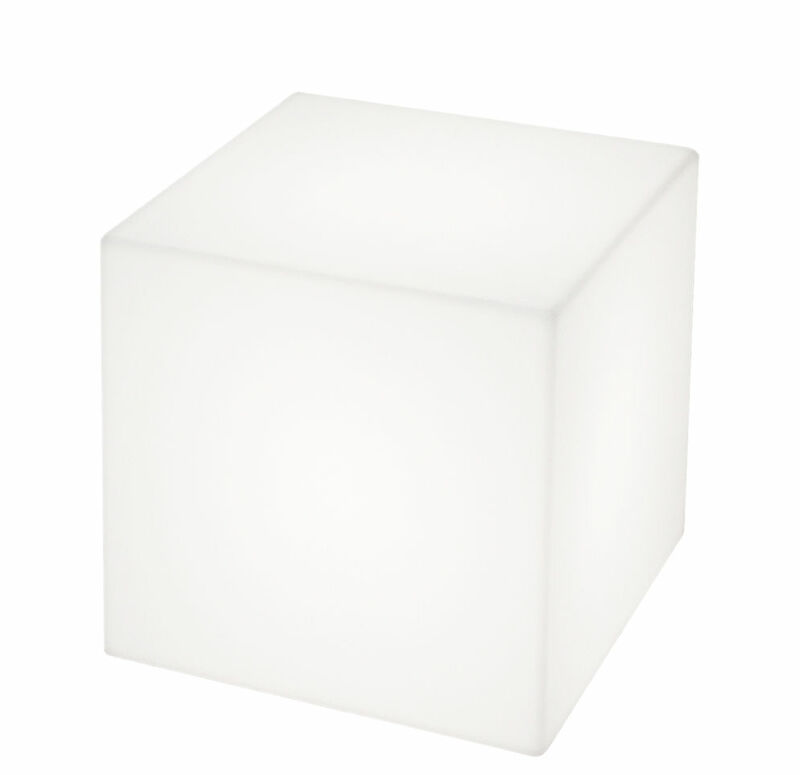 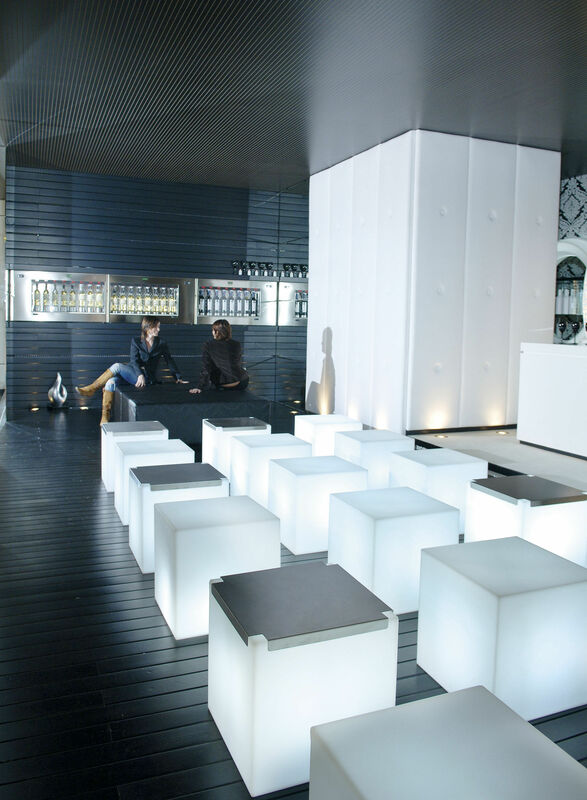 In addition to its lighting function, Cubo Outdoor can also serve as a stool, small occasional or bedside table thanks to its dimensions (L 43 x W 43 x H 43 cm) and extreme resistance. 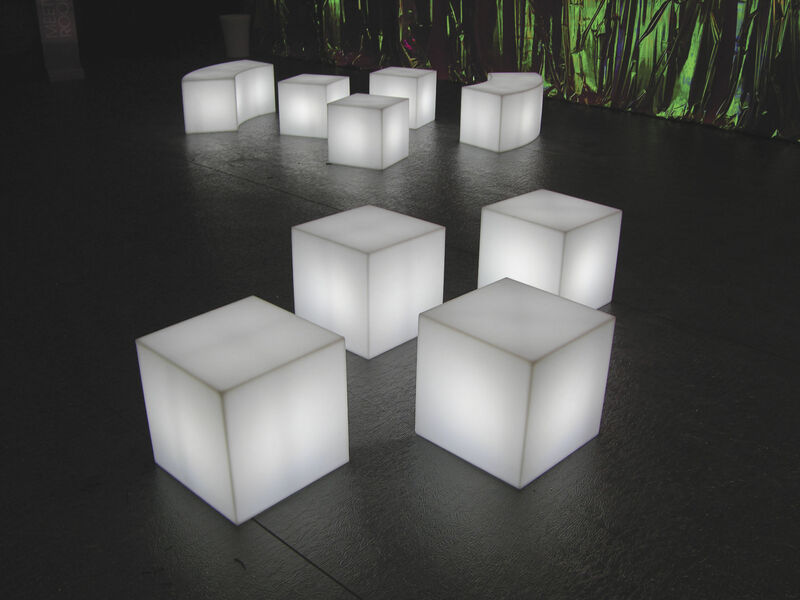 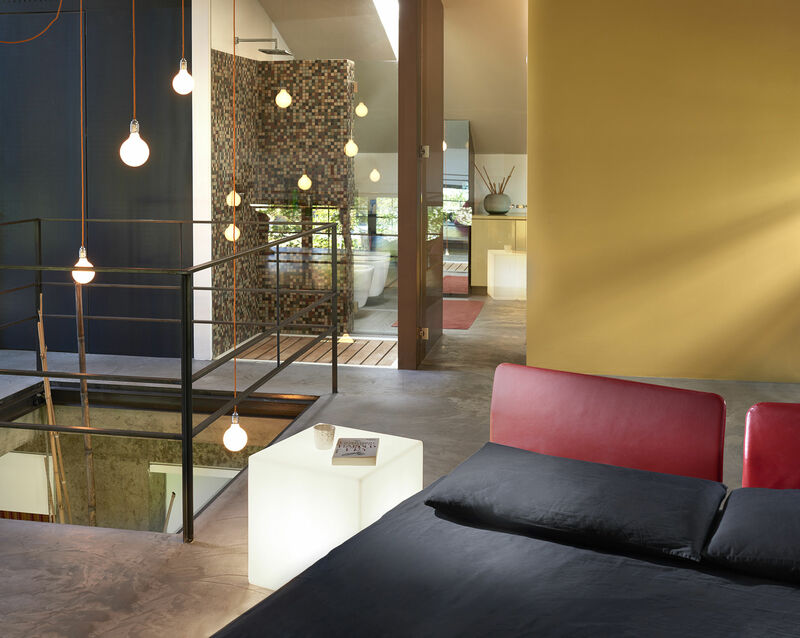 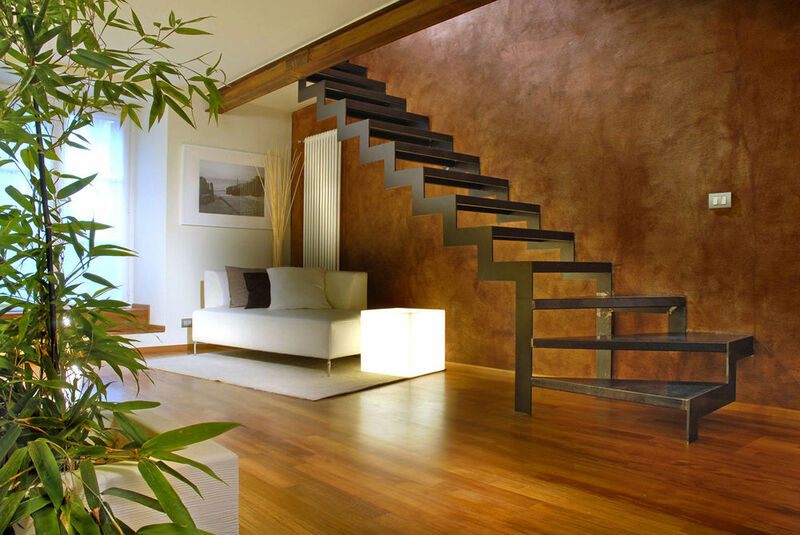 Supplied with a remote control so that you can regulate light intensity and switch between 15 proposed colours.